APRIL 2018, HIGH POINT, NC – The engaging familiarity of Greek motifs and European design blends with clean and simple lines to create the classic, yet casual, Arcadia Collection by Marge Carson. The clean-lined, unembellished approach of Arcadia allows it to beautifully enhance a variety of interiors. “While influenced by European design and classic Greek elements, Arcadia is interpreted in a clean-lined manner that is more casual, enabling it to blend with traditional or transitional décor,” said Jim LaBarge, chief executive officer of Marge Carson. Crafted of Cathedral White Ash Veneers and European Beech solids, Arcadia’s main finish is an organic, soft brown tone called Mocha. Intriguing grain texture is enhanced with a hint of white glaze hang-up in the wood pores to add a relaxed approachability. Greek motifs used in the 16-piece bedroom, dining room and occasional collection include the Greek Key, Greek rings and a Greek scroll shape. 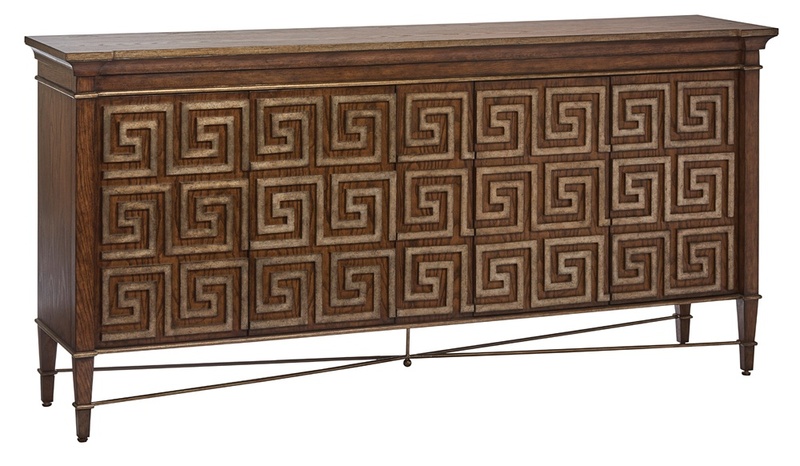 A signature piece in the group is a credenza with a raised, repeated Greek Key carving detail on the doors, finished in bronze silver. The piece has clean, architectural lines with no hardware. Media accents in Arcadia include steel, Michelangelo Marble, Brown and Silver Travertine and Antique Mirror with a pop of solid brass hardware. In addition to Mocha, other finishes include Dapple, Saddle and Noche. The Greek Key motif carved into the four doors and finished in Bronze Silver leafing creates a signature piece for this collection. An ebonized marquetry inlay adds interest to the top, as do the stainless steel intersecting stretchers on the base. 4 doors with stationary center panel. 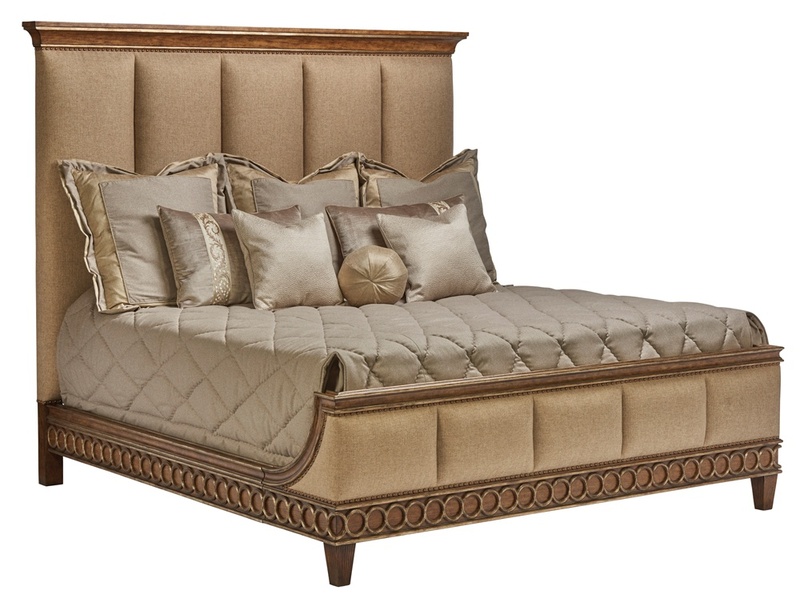 This dramatically tall virtuoso bed offers a statement headboard with a simple crown molding over channeled upholstery and an elegantly carved footboard with complementary crown molding top rail and a carved Greek ring motif on the base rail and side rails. The Greek rings are finished in a silver leaf rub-through. 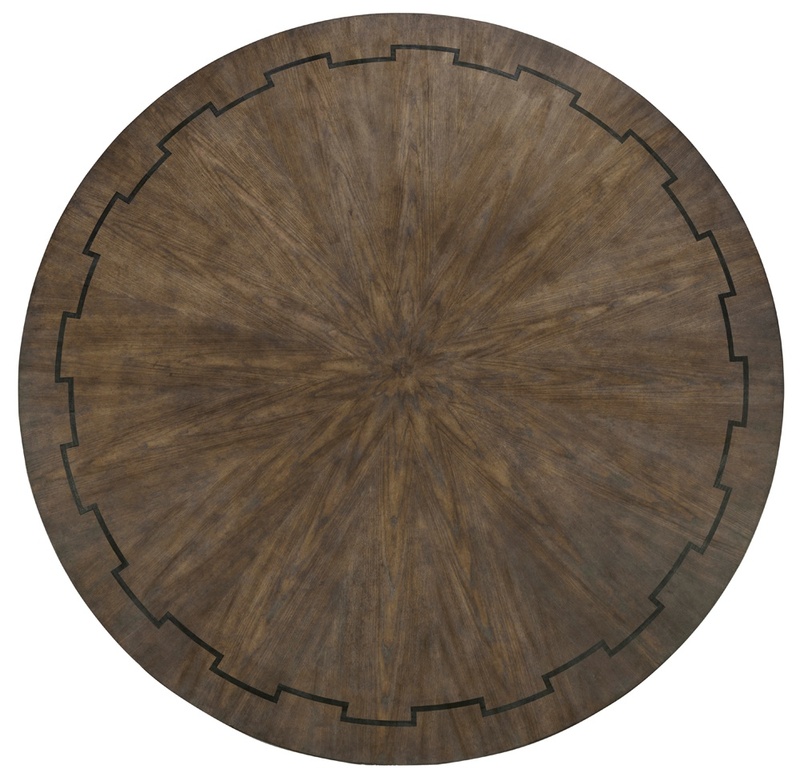 This beautiful focal-point table features a dramatic sunburst veneer pattern on the top in Cathedral White Ash.  The ebonized inset marquetry inlay is in the Greek Key design. 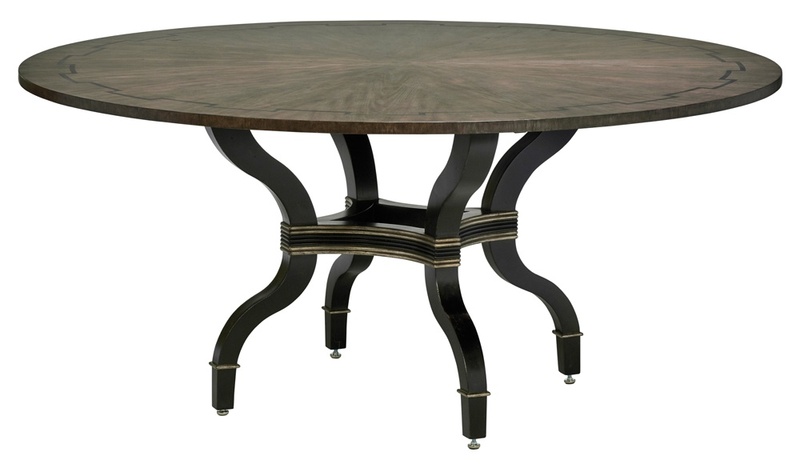 The serpentine lines of the four base legs are “bound” by a decorative central panel with reeded edges to simulate bindings. This small decorative element is also seen near the base of each leg. 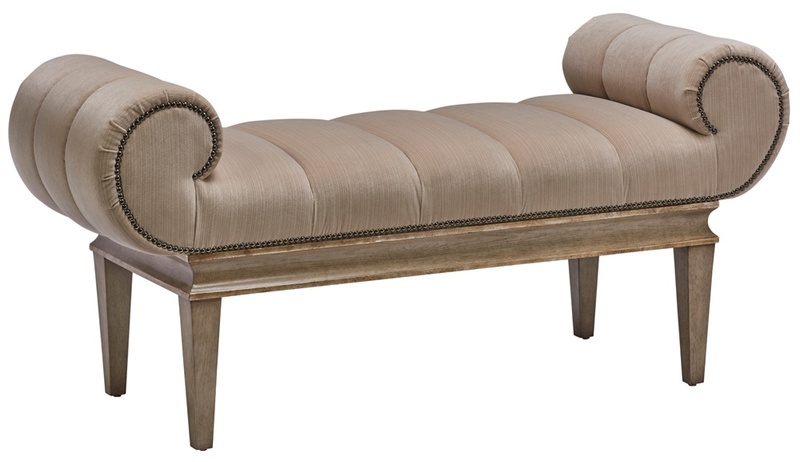 The soft Greek scrolls on either end of this important and stylish piece provide shape and softness to complement the straight lines of the imposing panel bed.